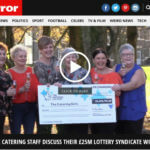 How much of a problem can six people winning big in the lottery be? For the catering department at Neath Port Talbot Hospital, it means having to look for six new people. 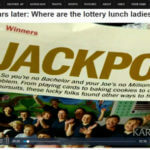 One woman’s lottery luck could have spelled trouble for her village. But the husband was too professional to leave without a proper replacement. 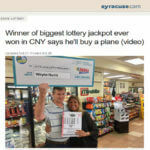 John Dixon has been a long-time water plant operator when his wife Rita won $3.3 million after taxes from a scratch off ticket. While it’s good to follow a routine, sometimes a small variation is all that’s needed for good things to happen. That’s something Joseph Corsello learned from experience.